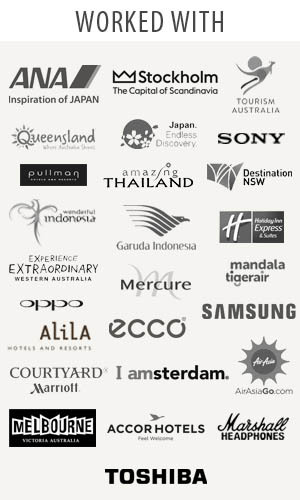 Traveljunkieindonesia.com – I love a good holiday. Genting Highlands is ROCK! Traveling in the “City of Entertainment” this mountain resort is located an hour drive from Kuala Lumpur, Malaysia. People coming here can drive up to the resort or stop at the Genting Skyway Station and take a cable car up to the summit. A place where you will discover how this fully integrated family holiday resort became a reality because of one man’s dream and determination. Take a walk down memory lane and get to know the history of Genting highlands Resort and the Founder’s Visition! 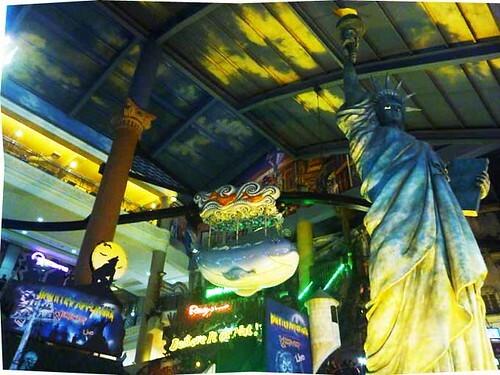 Genting Outdoor Theme Park is one of Malaysia’s premiere centre for wholesome family entertainment. 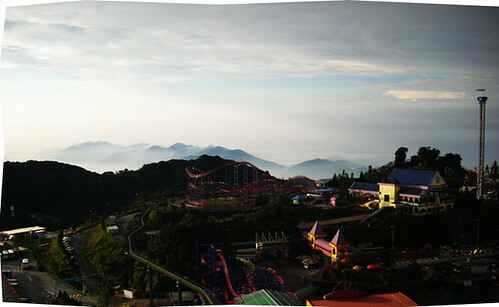 Once you’re in Genting Highlands, be prepared to experience exciting, thrilling and sky-high rides in their theme park. Some of the attractions are Space Shot, Corkscrew, Pirate Ship, Astro Fighter, Cyclone, Flying Coaster, Dinosaur Land, Flying Dragon, Turbo Drop, Gun Simulator, Rolling Thunder Mine Train, Grand Prix Fan Kart, Matahari, and many more. Genting Indoor Theme Park is for the young ones. 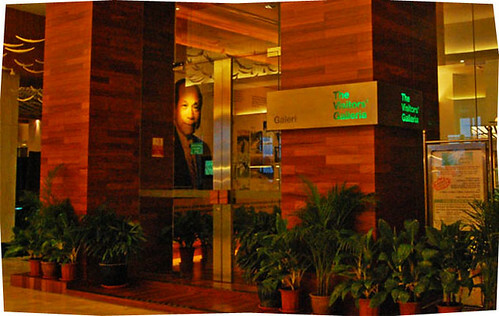 It is part of the Genting Theme Park Complex and is located inside the older part of First World Plaza. To be able to ride the attractions here, you must have an all day pass ticket that you can purchase at the ticket counter of the outdoor theme park. Inside this indoor theme park, you can find six themed areas from around the world. Each of this area features unique rides with theme from Champs Elysee (France), Venice (Italy), Times Square & Universal Walk (America), Swiss Alps (Switzerlands) and Genting Walk (Malaysia). The indoor theme park is a fantasyland full of fun and adventure with numerous exciting video arcade games. For some, the main attraction in Genting Highlands are the 24 hours casinos. I noticed that there are several big casinos around Genting and only those above 21 years of age can enter. 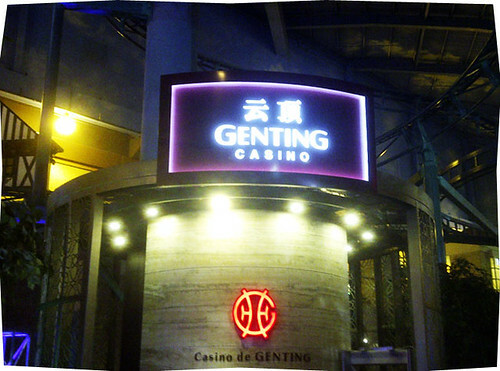 Patrons wearing sunglasses, hats, slippers, short pants, sandals and sports attire are not permitted into Casino de Genting. Cameras and backpacks are also not allowed inside, they have a locker rental at the entrance of the casinos that you can rent for 2RM. A snowy summer awaits. Is winter your favorite season? Have you always longed to visit a winter wonderland? Want to engage your friends in a snowball fight and make snowmen? well, Resort World Genting is bringing winter to your doorstep. 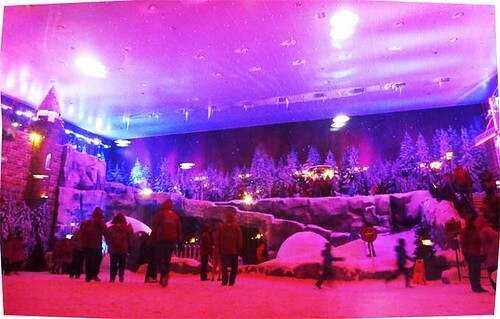 SnowWorld is one of the largest snow attraction in Malaysia. Come and experience the most magical season of all at SnowWorld and bring home the fondest memories of winter! 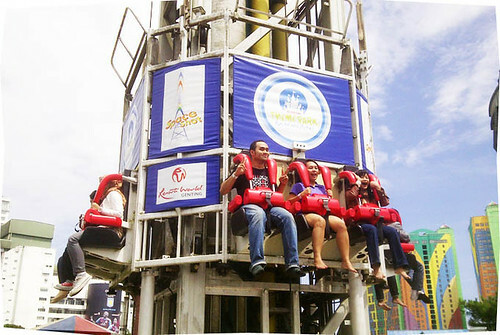 Genting Sky Venture is a state of the art sky diving wind tunnel that gives ordinary people the chance to feel the thrill and sensation of jumping out of an airplane and freefalling through the sky just like a skydiver. You will experience the ultimate skydiving simulator fly in winds up to 193 km/hr in the one and only wind tunnel in Asia. Sky Venture very experienced and friendly Body Fly instructors are at your service. Well, I LOVE Sky Venture! The First World Plaza has got to be the coolest, if not highest shopping destination in Malaysia. There are more than 60 Retail and 70 F&B outlets plus attractions for all ages. You don’t have to wait to plan a personal or family vacation.